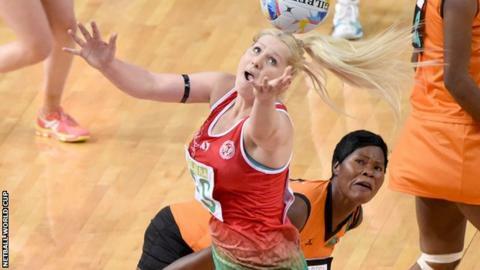 Wales goal-shooter Chelsea Lewis and defender Nia Jones have been added to the Celtic Flames side for the International Super Cup competition. The Welsh team will play two New Zealand sides and a Fijian club in the group stages in New Zealand in July. Teams from Australia, South Africa, and Trinidad and Tobago will make up the eight-team competition. Lewis, now with Team Bath, and Jones, who has been concentrating on football, are both former Dragons players. The Celtic Flames squad has a core of Celtic Dragons players.